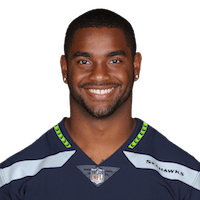 Published: Oct. 29, 2017 at 06:21 p.m.
Seattle Seahawks QB Russell Wilson finds wide open fullback Tre Madden for huge gain. Published: Aug. 25, 2017 at 09:16 p.m.
Seattle Seahawks running back Tre Madden gets over the goal line for a 2 yard touchdown during Week 3 of the preseason. Published: Aug. 13, 2017 at 10:54 p.m.
Los Angeles Chargers Desmond King shows unreal hustle chasing down the ball carrier to cause a fumble and save a touchdown.